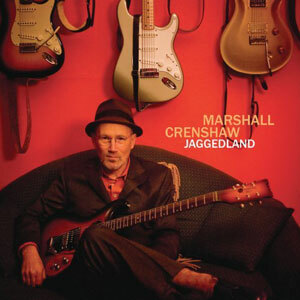 The songs on Marshall Crenshaw‘s new Jaggedland (released in June 2009 on 429 Records) work as a cohesive whole; while Crenshaw can always be counted on to turn in a quality set of songs, there’s a unity about this group of twelve compositions. “I knew that I was crafting an album, you know what I mean? Of course I gave great attention to detail on each individual song, but I had an agenda: there was this group of songs that hang together and complement one another.” This approach has served him well over the course of his thirty-plus year career. 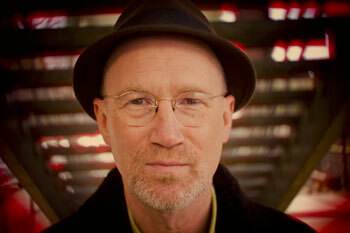 Prior to his first album (1982’s Marshall Crenshaw), he says that he “just had a bunch of songs. So I grabbed some from that group, the ones that would fit nicely into an album. But ever since then, I’ve pretty much thought in terms of albums.” There’s an old axiom that a new artist has his whole life up to that point to compose material for a first album and then a mere months to create material for the follow-up. In Crenshaw’s case, “I guess I did and I didn’t. I wrote all those songs (for 1983’s Field Day) and maybe ten more in a really short period of time. But the two or three years leading up to that time, I had been traveling all around the country…seeing it up close, and seeing a lot of it. I was gathering up of all these impressions of different places, soaking up whatever I was soaking up.” Crenshaw believes that it was during that period that he truly became a songwriter. On Jaggedland, Crenshaw ceded backing and harmony vocals to Mike Viola of the Candy Butchers. Viola is perhaps best known for his lead vocal on the title song from the film That Thing You Do! “There was a time when Mike was managed by Danny Bennett, Tony Bennett’s son. I got on their mailing list — I don’t know how — and I would get Mike Viola records and Tony Bennett records in the mail. 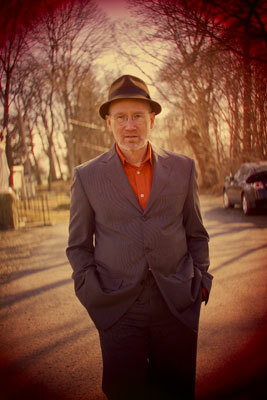 That was nice while it lasted!” He recalls how he met Viola: “We met at the Power Station recording studio in New York. We were both working on Freedy Johnston’s version of ‘You’re My Favorite Waste of Time’ [originally a Marshall Crenshaw b-side from 1982] for a movie soundtrack. The producer was John Flansburgh from They Might Be Giants. I didn’t really see Mike for a while after that, but then I attended the premiere party for Walk Hard.” [Crenshaw’s song for that film was nominated for an Golden Globe Award.] The two got friendly again then, and that led to Viola’s participation in the sessions for Jaggedland.